I’ve had fun documenting and comparing examples of government stupidity in both the United States and United Kingdom, and today’s story clearly belongs on those lists. Send this kid to a re-education camp! It’s also an example of a perverse anti-gun mentality. How else can you explain a school in Talbot County, Maryland, suspending a couple of young boys for the supposedly horrible offense of making gun shapes with their fingers while playing cops and robbers?!? Here are some of the details from a local news report. There’s controversy at a Talbot County school after two 6-year-old boys were suspended while playing cops and robbers during recess and using their fingers to make an imaginary gun. “It’s ridiculous,” said parent Julia Merchant. There’s a reason this story may seem familiar. He fired his finger more than once? That might mean he has a semi-automatic finger! Oh, the horror. Amazingly, the school in Montgomery County backed down after parents objected. The school reversed its decision after Rodney’s parents appealed. “They’re saying he threatened a student, threatened to shoot a student. He was playing,” said Rodney’s father, Rodney Lynch Sr. …A number of parents agree. “Suspending them is a bit harsh and I don’t think that’s gonna do any good for the parent, child or school,” said Janet Geotzky. It’s unclear what’s going to happen with this new incident (or, more accurately, non-incident) in Talbot County. But I know what should happen if we want to discourage further episodes of political correctness run amok. The person (I assume a teacher) who filed the initial complaint should be suspended. The bureaucrat (I assume school principal) who suspended the boys should be fired. The children (all of them, not just the two who were suspended) should be given toy guns and encouraged to play like normal kids. What else should be done to stop the continuing wussification and wimpification of modern society? P.S. It’s probably no coincidence that these displays of government stupidity took place in Maryland. This is the state, after all, that crashed on the Laffer Curve, imposed regulations making it difficult for summer camps to protect kids from sunburn, and considered a law to give bums panhandling permits. In an ideal world, Congress would not raise the debt limit. This would force – automatically and immediately – a balanced budget. 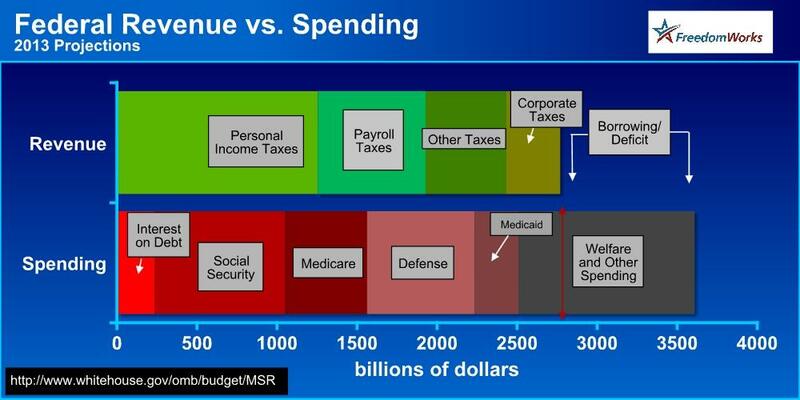 More important, it would produce a meaningful reduction in the burden of government spending. And contrary to hyperbole from defenders of the status quo, it doesn’t mean default since the federal government collects about ten times as much revenue as needed to pay interest on the debt. But even though that seems like a fantasy outcome for people like me from the Cato Institute, I actually don’t think libertarians, fiscal conservatives, and other advocates of smaller government should make the debt limit a do-or-die battle. As I say in this interview on Fox Business News, the “continuing resolution” is a much better vehicle. To elaborate, my concern is that the White House will be able to whip up too much hysteria on the debt limit, particularly since the media will serve as an echo chamber and Bernanke will act as a lackey for the White House. And if the Fed Chairman is able to rattle Wall Street and cause a big drop in the stock market, it’s quite likely that Republicans will buckle rather than run the risk of being blamed for causing a financial calamity. But the Obama Administration has less leverage when the “CR” expires on March 27. Like the debt limit, the continuing resolution is a must-pass piece of legislation. Heck, it’s even important since it’s the only way of funding the non-entitlement portions of the federal government for the rest of the 2013 fiscal year. This is where advocates of small government should draw a line and demand fiscal restraint. They should pass a CR, but only after eliminating some egregious waste from the federal budget. 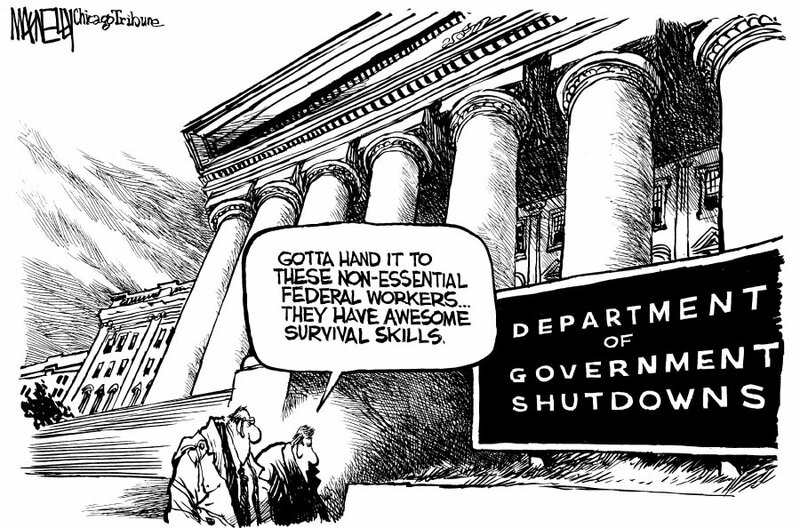 And not even a real shutdown. Things that actually have some value, like the military and the air traffic control system, continue operating. 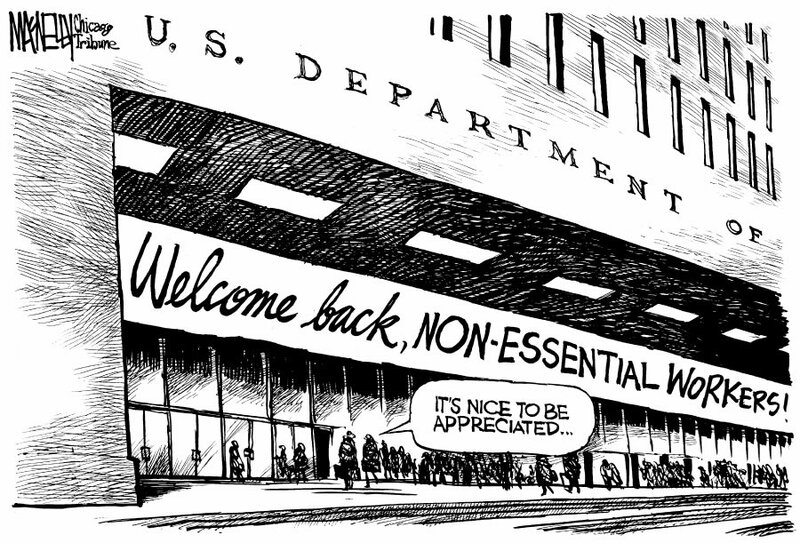 All that happens is that “non-essential” programs, agencies, and department are shuttered. The Department of Housing and Urban Development is a good example. Let’s now think about leverage. Who will care more about reopening HUD and other non-essential parts of the government? The answer, quite obviously, is that bureaucrats and interest groups are the only ones who will care, and this means the pressure will be on the left. Indeed, this is exactly what happened in 1995 when Newt Gingrich and Bill Clinton had their famous shutdown battle. The Democrats were anxious to cut a deal to get the gravy train rolling again, and Republicans used that leverage to achieve a significant policy victory. This doesn’t mean a CR fight and potential government shutdown is free of political risk. Indeed, Newt Gingrich lost popularity as a result of that fight. But that was probably more a reflection of his political style. In any event, a CR battle definitely has less downside risk than a debt limit battle. So if folks on Capitol Hill actually want to fight to save the country from becoming Greece, why not pick the battle that’s easier to win?